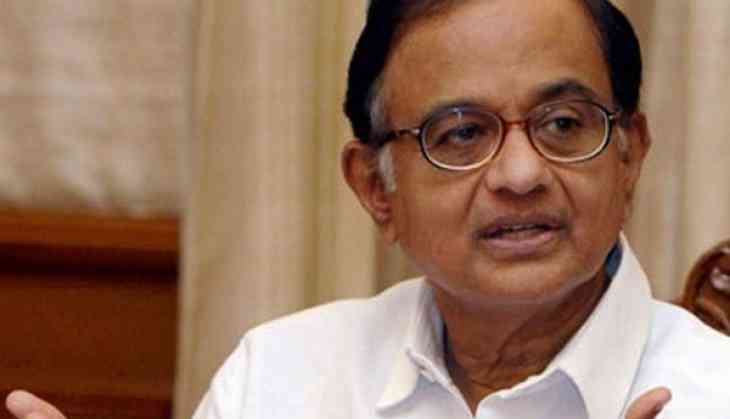 The offer of plebiscite in Jammu and Kashmir had been made under very different conditions, which has entirely changed since then, making it no longer relevant, senior Congress leader P Chidambaram said in Chennai Saturday. Pitching for talks with Pakistan, he said though dealing with that neigbouring nation was "very complicated," there was no other option to avoid war. "Plebiscite was offered under very different conditions, please understand that," he said adding, that since then the conditions have changed in Jammu and Kashmir. Fielding a question from a member of the audience -- a DMK functionary -- at the launch of his book, "Undaunted: Saving the Idea of India" in Chennai, he said plebiscite was offered to a "united Kashmir. Since then the conditions have changed and nearly about one half of Jammu and Kashmir is Pakistan occupied now." The top Congress leader said for about 70 years now Jammu and Kashmir and Pakistan-Occupied Kashmir were being governed by India and Pakistan respectively and "the entire ground conditions have changed." The senior DMK functionary, Thamizhachi Thangapandian, wanted to know about the "promise made by Jawaharlal Nehru," referring to the offer of plebiscite. "Plebiscite was offered to the whole of Jammu and Kashmir...now Jammu thinks differently, Ladakh, Leh and Kargil think differently today..."
The "problem" was essentially confined to the Kashmir valley and there was no problem in regions like Leh and Kargil, he said and recalled his visit to these two regions. "I don't think that conditions for plebiscite are any longer relevant. The conditions have changed so much that the offer of plebsicite (made) then is valid today, I don''t think so," he said. Pointing out that he was only talking about healing the divisions in Kashmir, he said: "I certainly will not allow Kashmir to secede from India, that is not allowed, that is a no go area." He said that within the Indian Union, "what they are asking is and as far as I have understood is a large degree of self government, which I think we should give them and we can give them." To another question from a Congress MLA Vijaya Dharani, he said dealing with Pakistan was more complex, which involved a mixture of areas like foreign, defence and security policies. "Pakistan does not have a single authority government like India has," he said and added that there was the State, the Army, and non-state players, the militant outfits like the Jaish-e-Mohammed. Such outfits are sometimes as powerful as the government itself and they acted on their own. "So it is very complicated dealing with Pakistan..but as Vajpayeeji once said and Dr Manmohan Singh repeated, Pakistan is our neighbour, we can change our friends, we cannot change our neighbours." The former Union Minister said hence, "we have to live with Pakistan forever and ever." "Ultimately, we have to talk to Pakistan...you may get nothing out it, you may call me a pacifist, I am firmly of the view that war does not solve any problems," Mr Chidambaram said and recalled the wars India had fought with Pakistan in the past, including the Kargil conflict. "We have to talk...it is a painful task, but there is no option we have to keep on talking and avoid war," Mr Chidambaram said, adding he was more concerned about bringing back peace in Kashmir.